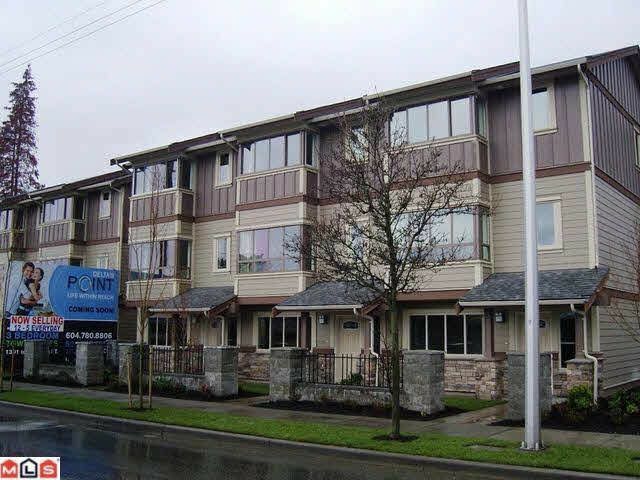 3 storey Delta's Point Townhouse is the best location in town. Close to shopping, school, restaurants & much more. This 3 bedroom + flex room w/side by side double garage & 3.5 bath, complete w/designer colour scheme & features high end finishing throughout. Features include cabinets, granite counter tops w/under mount sinks throughout, S/S appliance package, extensive use of moulding detail including crown moulding throughout as well as built ins comprising of vacuum system, security system, closet organizers & 2" faux wood blinds. This floor plan includes a flex room & additional washroom located on the bottom floor. Quality construction makes this unit a must see.